Diets come and go but this one has survived through the years. The Original recipe is not traceable at this time however, so I have modified and developed my own version. The LOW CARB DRK'S Cabbage/Chicken Soup Diet™ is extremely effective for achieving rapid weight loss in a short time. Generally you cannot deviate or substitute in this type of diet in order for it to work. These types of diets work by caloric restriction and are not meant to be totally tasty and nutritious. You cannot live on this diet for more than one month. Weight loss is due to starvation due to caloric restriction, not loss of water. You are drinking soup daily, you cannot get dehydrated. Some people blend the soup and vegies for a creamier soup. If you are allergic to any product, eliminate it from the diet. If you cannot obtain the required vegetable or fruit, you can request a special substitution list which is provided along with the Vegetarian version and one personal email consultation answering any questions you may have. This cannot subsitute for a medical consultation and is for diet use only. *THERE IS A CHARGE FOR THIS SERVICE: Contact the medical director. You may be interested in some comments from The Monterey Diet users. Your diet came to me via a friend who found it on the net. What a life-saver! I'm about 20% overweight, but more importantly for me, I suffer food intolerances. Having cleared out candida and semi-healed my gut two years ago under the tutelage of Dr at Middlesex Hospital, London, I was well for the following two years on a relatively 'normal' diet. However, overindulgence of wheat and dairy etc started the problem again in October 1998 and by Christmas, I ached so much all over particularly low back and sacroiliac (sp?) that in the mornings I had to crawl from my bed to the toilet. An hour's dog walk later, I was somewhat more flexible, but the nagging pains remained. My stomach and abdomen were distended, hard and painful even in loose clothes. Also I had finger joints which were red and swollen. And I had gained 20 pounds during Xmas overindulgence and inactivity created by the painful joints. My physiotherapist gave up on me. weeks) but good for my variety of food intolerance and dysfunctional gut. I did it (and am doing) fantastic. I started off at 178lbs And am now 148 lbs my goal is 131lbs and I hope to see that within a month. Over a three week period on the CC diet and then follow up diet - three weeks and now I am back on the CC diet. Only 17 lbs to go to get to my weight before I had three kids one after the other. Also my husband has lost 14 lbs and my mom lost 11 lbs. Fantastic easy to follow never hungry diet. Thanks. 11 pounds since August 24. I am definitely interested in your maintenance diet as long as there is no cost involved. Pretty cheap of me, Huh? My doctor said I can stay with the Cabbage diet as long as I want to get the weight off of me. When I started, I weighed 336 pounds (August 24). This a.m., I weighed 325. I love it. I have done before and tolerated that diet fairly well. I just need to have this in my back Pocket to jar the weight loose. Thanks a lot. * LINK TO http://www.wellnessmd.com/contract.html or http://www.themontereydiet.com. "WELLNESSMD ON THE WEB" ON MY WEBSTIE FOR MORE INFORMATION ON HOW TO PROCEED. All contents copyright ©2002 A.H.Kryger, DMD, MD. All rights reserved. The Wellness MD website makes this information available to all readers for the sole purposes of providing educational information on health-related issues and providing access to health-related resources.This Web site's information and resources are not intended to substitute for professional medical advice. 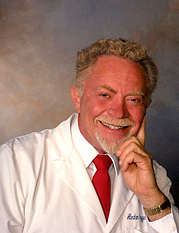 Copyright © 2006-2009, Abraham H Kryger, MD, DMD. Disclaimer: This book is for people in whom being overweight contributes to poor health and interferes with a desired, active lifestyle. It is recommended that you consult your own physician before using any of the medications or supplements discussed in this book. The plans are not for everyone, Wellness MD on the Web does not warranty the results and shall have no liability for information provided on this or any other Internet website. The recommendations for dietary supplements are only for health purposes. This information is provided solely as a guideline to be used when discussing a weight loss program with a medical professional.